for Home Staging, Interior Design businesses and small business use. 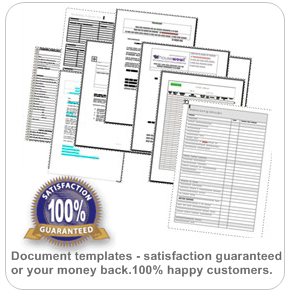 43 Documents, forms and stationery templates - file ready for immediate download or on CD Rom - to customise with your own business details. Includes: Appointment letters, letter head styles, stationery, invoice, quotation and contract document, feedback forms, property consultation survey forms, action plans, marketing letters, job costings, expenditure spreadsheets, project management timetables, business plan template, fax, cash flow spreadsheet and much much more - including 3 bonus PDF ebook guides. 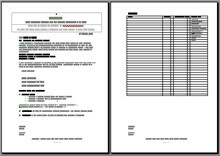 Templates are in Microsoft Word and excel software for easy editing of the document to include your business address and logo. Just amend wording to your own requirements. 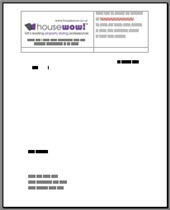 **NEW ** Now includes Home Staging Business Plan, Business card template and Compliments slip in Microsoft Word. Business card template in ms word - simply insert your business details and logo and print. 10 per A4 sheet. 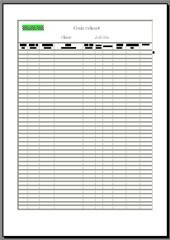 Compliments Slip template in ms word - 3 per A4 sheet. 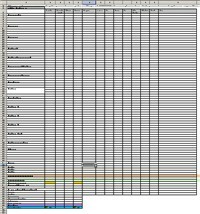 Simply insert your business details - printable. 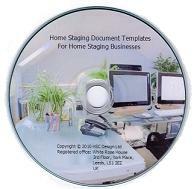 The Home Staging Document templates in this pack were written by Anita Richardson who has over 10 years of experience in home staging and Interior Design and is founder of The International Home Staging Network. Anita understands very well all the issues about business start up and running a home staging business and is at the forefront of the Home Staging industry. As well as running leading UK Home Staging and Show Home Business, House Wow Ltd www.housewow.co.uk, Anita continues to develop the home staging course chssp.com and a significant web presence for independent Home Staging Businesses at The International Home Staging Network hsnwk.com. 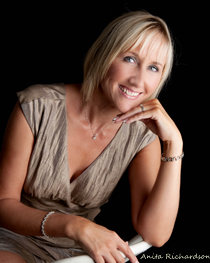 Anita Richardson is a recognised expert in home staging advice to sell property and has featured in Sky TV's Women in Property programme, Open House, The Telegraph, The Independent plus Style Magazines such as House Beautiful, Show Homes, Home Style and Women's World. "I started my own Home Staging and Design business so that I could enjoy a creative career whilst having total flexibility with my working hours as a mum with two children to look after. I am pleased to be able to promote home staging and to play a part in improving professional standards within the home staging industry. "Thank you so much. I have successfully downloaded the templates. Thanks to you my business will be running sooner than it would have been!" Now available as an Immediate download. 100% satisfied customers to date. See www.chssp.com for further details. Worldwide Publishing and distribution by HSC Design Ltd Company Registration No: 6576986. Ideal for any professional consultative businesses. Small to medium sized business use. Particularly useful for interior Design, Home staging and re-design type businesses, but could also be used for general business use as well. Includes initial appointment property analysis, customer feedback questionnaire, project management programme of work timetable, Home Staging Contract, Interior Design Contract, Show Home Contract, marketing letters, appointment confirmation, business plan template, Staging letter to Agent, and advice to complete, expenditure summary, cash at bank spreadsheet, cash flow forecast, Profit and Loss spreadsheet ...and much more. 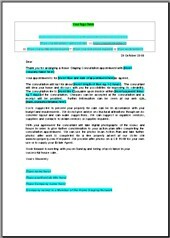 Many of these can also be used as email templates by simply copying and pasting the text across into an email. Over 40 different practical documentation examples, stationery templates and Excel spreadsheets are available in this one downloadable file to make the process of home staging business documentation or Interior Design projects as easy as possible. All the stationery and templates are provided for easy editing and amendment. Just add your business name, address, logo and any change of detail to customise for your own personal needs. 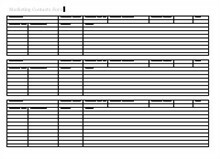 The templates have been developed using Microsoft Word and Microsoft Excel software. You will need these to amend the templates with your personal business details and logos or corporate image. To open, edit and use the documents the user will require a basic knowledge of Microsoft Word and Excel applications. These documents are sold to you for personal and business use but not for re-distribution or to sell. Please do not infringe our copyright. The Home Staging Network nor HSC Design Ltd, author or publisher of these documents is not responsible for any loss or damage howsoever caused as a result of use of the documents supplied herein. The content can be changed for your personal requirements and needs. 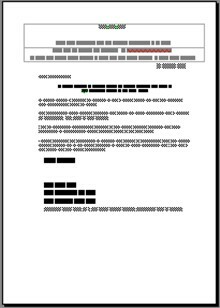 The information included is given in good faith and is, to our knowledge, current at the date of publication. The reader should make personal enquiries of relevant agencies and consult professional & financial advice where necessary in relation to running a business as necessary.